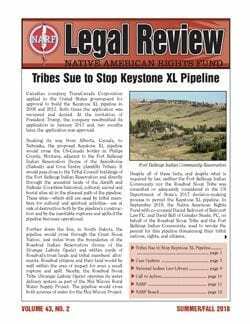 Keystone XL Pipeline —The Fort Belknap Indian Community and the Rosebud Sioux Tribe sue the Trump Administration for its illegal approval of the Keystone XL pipeline’s presidential permit. 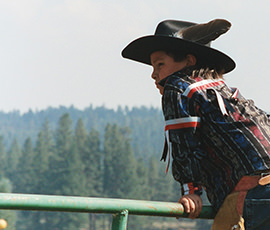 Herrera v. Wyoming—In this US Supreme Court case, NARF’s client, the Crow Tribe, is fighting to protect its treaty-guaranteed hunting rights. Arctic National Wildlife Refuge—The Native Village of Venetie Tribal Government, together with the local tribal village councils, fiercely oppose the proposed development of the Refuge. You can learn more about NARF’s work, current and past, in the Legal Review archive.